Are Herbs Better Than Diet Pills To Lose Weight? Can Herbs Really “Perform” Better Than Diet Pills? Diet pills are all the rage today. Since the beginning of the 21st century, there have been at least 500 types of pills that promise weight loss and better health. On the other hand, natural herbs have been used for almost all kinds of medicine since the ancient times. And with the help of science and modern technology, the field is developing rapidly and the use of natural herbs in controlling weight and improving health is increasing. Plants have the natural ability to synthesise a variety of chemical compounds which can be used to perform important biological functions. And most of them have also shown advantageous effects long term health of humans when consumed by them. And henceforth, they have been used to cure human diseases, including obesity for centuries. Ironically, many of the modern diet pills such as Lipozene contain all natural ingredients! Lipozene itself contains Glucomannan, a natural fiber found in an Asian plant. Herbs are used to cure a lot of problems in human bodies. But not all herbs are proven to actually work. The tradition factor plays an important role here. 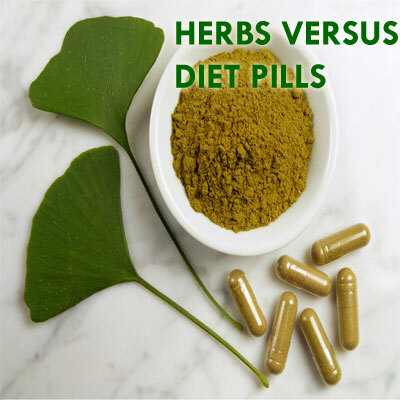 Herbal supplements don’t directly lead to weight loss, but make it easier to diet, hence leading to weight loss. Let’s take a look at some of the top natural herbs and herbal supplements used for the purpose of weight loss. Green tea contains compounds called catechins, which are antioxidants that are said to increase metabolism the body’s fat burning ability. Adding liquid extract to a cup of tea or combining it with food are the most common ways of consuming green tea extract. Green tea can improve the body’s water retention, but it may also cause diarrhoea and nervousness. Fish oil contains omega-3 fatty acids. This chemical helps change the way your body utilises the fat you consume. Instead of storing the fat in the body, it starts using it as fuel. A combination of exercising and consumption of fish oil is said to work much better than any of them individually, studies suggest. It is also said that fish oil also seems to stop some kind of fat cravings. Consumption of fish oil should be started with a low dosage. Higher dosage may disrupt sleep. When you control your sugar eating, your blood sugar levels drop. This leads your body to crave for sugar as your brain does not receive the fuel it needs. L-glutamine is an amino acid which is said to fuel the brain instantly, which relieves you of the craving for sweet or starchy foods. It is also said that L-glutamine facilitates weight loss in a person by disturbing the conversion and storage of fats. Two 500mg capsules should be consumed 3 times a day in between meals for a couple of months. Letting the capsules dissolve under your tongue gives the fastest effect. It is derived from a plant that grows wild in India and Africa. It is said to reduce the ability to taste sweetness. Gymnema molecules are similar to glucose molecules that fill the taste bud receptors on the tongue, making it feel like you have got a sugar fix. High dosages have been linked to low blood sugar levels. So it is recommended to use in controlled amounts. Guggul is an ayurvedic remedy, used for lowering cholesterol and aiding weight loss. Studies suggest that a combination of aerobic training and guggul doses helped to reduce 3 to 4 times more weight than only exercising. Reishi mushrooms were used in China since times immemorial. They are used to build stamina and immunity. In general, it is much easier to stick to healthy eating and exercise if you feel strong and energetic. This is the logic it follows. Reishi mushrooms are usually avoided if you’re allergic to them. And they are strictly not supposed to be consumed after coffee. Glucomannan is made from the konjac plant. It blocks the absorption of dietary fats like any other dietary fibre. Of course, this entire blog is dedicated to one of the products using this, namely Lipozene. Bitter orange contains a chemical called synephrine. It is said to decrease appetite. It can be taken as a tablet, capsule or in the extract form. All these supplements and herbs should be medically supervised by a trained physician. Not all herbs that claim to work are safe for use. Advice from the doctor is a must before using any of these. There can be unknown side effects from their use. So it is always safe to consult your doctor before use. Concluding, not all these herbs and supplements can be taken by you at a time. But what you can definitely do is try a couple of these for a few days and gauge their success. I am sure some of them will definitely suit your body and give you amazing results. All the best. Very informative. This is my first time reading your article- blog. I am not computer savvy. There are many interesting ideas I will be following up a few and keep you informed.